Painted Snowflake and arranged product accordingly for Winter Nail Polish design. 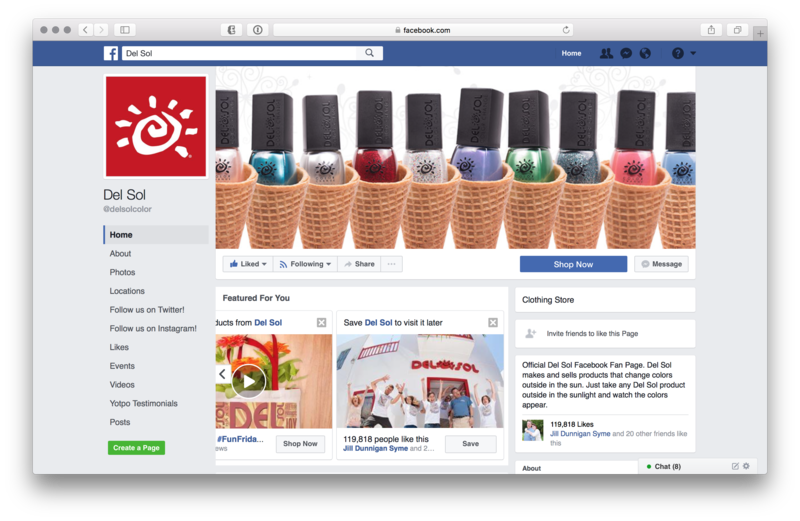 Created new cover photo for Corporate Facebook page to show off Winter Nail Polish Collection. 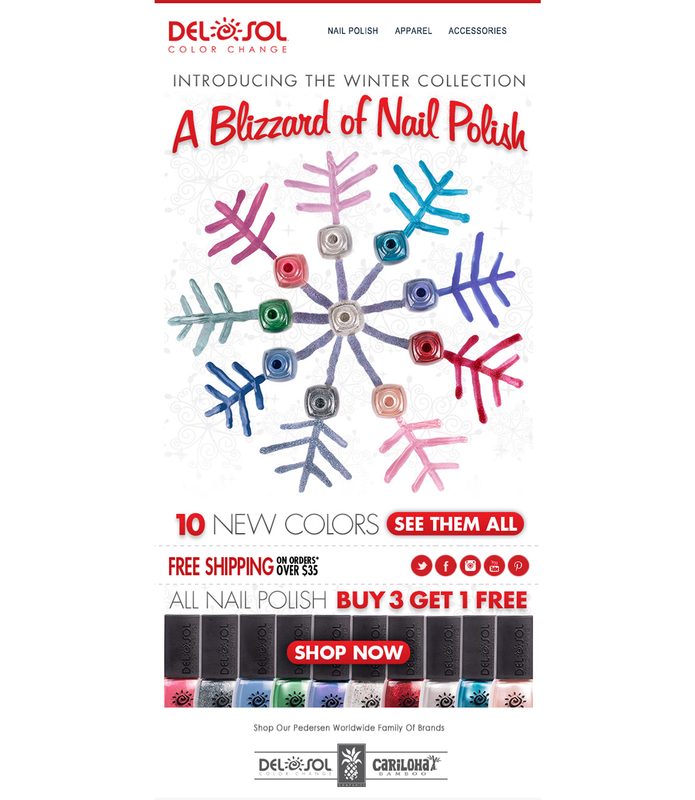 Worked with Web Team to create Winter Nail Polish Campaign with multiple visuals that create a winter feel while still showing off new polish colors. Created snowflake arrangement by painting actual color-changing nail polish and shooting product from above. Decided to use ice cream cone reference to both capture summer fun and cold winter feel. Shot product photos and created graphics for Email, Sliders, and Social Media platforms.